What Makes Tobago an Amazing Destination for Vacation! The nation is also a major diving location because of its beautiful collection of coral, particularly at Buccoo Reef park. 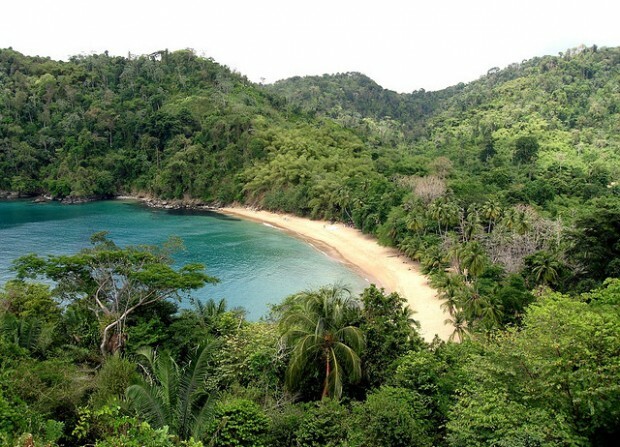 Tobago has claims to fame on land too – the Tobago Forest Reserve has been a protected forest area since 1776 and is arguably the oldest of its kind throughout the West. Those interested in exploring this landscape and the wildlife that call it home can take advantage of the highly knowledgeable tour guides available. The annual Tobago Heritage Festival runs from mid-July to early August and is an excellent opportunity to learn more about the nation’s past and its culture. Tobago has the most tumultuous history of any Caribbean island. Before succumbing to Great Britain, the nation changed rulers 33 times amid centuries of battling between the English, Dutch, Spanish, Swedish and French! Festival attendees get to hear popular folk stories and attend music and dance performances. Fun fact: Two of the most famous dances in Tobago, the Reel and the Jig, were created in England but have their roots in African rhythmic traditions. Fans of the Victorian era will delight at the festival’s Ole Time Wedding procession event where the men dress in top hats, bow ties, and tuxedo tails and the women rock bustle dresses, dainty white gloves and wide-brimmed hats. Tobago takes advantage of its history and scenery and is well-known as being a perfect destination for anyone seeking a tropical paradise getaway. If you can already picture having the sand between your toes, start searching for the best options in Tobago travel right away! Posted in Inspiration, Luxury Travel, Trinidad and Tobago and tagged with Beach, Beaches, Caribbean, Island, Islands, Tobago, Trinidad. RSS 2.0 feed.